It’s been quite a while since there was a Pastels album. I remember the week Illumination came out, standing in Ashton Lane, Glasgow, being informed by one of my sister’s friends that the The Verve were the best band in the world, and knowing that this could not possibly be. In nearby Byres Road green vinyl copies sat proudly in Fopp, but I probably bought it in John Smith’s, where Stephen had his proto-Monorail record section (a whole floor! In the middle of a book shop! How did that ever come about?) At the time Illumination seemed a continuation, rather than a culmination, of the incredible records which preceded it. The joy and abandon of Truckload of Trouble fed into Mobile Safari, on which Stephen’s ‘feeling of excitement when I plug in my guitar’ (thanks Brogues!) built into such an unstoppable run of wonderful songs. Illumination was more ambitious, more concerned with assembling a coherent texture which reflected the band’s mindset. So it was beautiful, gentle, wide-eyed. It was modest and muted in the way it didn’t set out to grab your attention, but epic in the collaborative instrumentation it used to get to being modest and muted. Just as Chekhov gradually dispensed with the melodramatic gunshot in the final act over the course of his plays (it went completely with The Cherry Orchard), so The Pastels grew out of that ’80s indie pop production technique of playing a single clanging chord to emphasise each first beat of the bar over already compressed drums. It was still present (just about) on Mobile Safari, but by Illumination they were sure enough of themselves to leave it behind and go stratospheric. Having said that, I’m not comfortable with the way Domino refer to Illumination as a masterpiece at every opportunity. More than most bands, The Pastels are about momentum, process, collaboration. Their song ‘Yoga’ starts: ‘It might not last, so we’re gonna record everything’, but recording is a double edged sword: it captures, but it also freezes. Maybe this has something to do with the long silence. But whatever. It doesn’t matter now. And Two Sunsets? I think I’m going to struggle. It is, as it had to be, so tall I can’t get over it, so wide I can’t get around it, so deep I can’t get under it. It washes over every border, drowns every boundary. It is alive in ways a record from twelve years ago just can’t be, masterpiece or not. Opener ‘Tokyo Glasgow’ is a development of the music they did for the play Do I Mean Anthing To You Or Are You Just Passing By?, with added ‘ah’s sung by Katrina and Saya, and what appears to be a panpipe (perhaps it is actually something more Japanese, signifying the ‘Tokyo’ part? ), which had me worried for a while because how can a panpipe be acceptable after muzak appropriated the instrument? Alison’s trumpet and the slow tempo make it sound like something from The Blue Nile’s Hats, but flecked with details ‘moulded by human hands’, as Jon Dale puts it. It is also the closest the record gets to the Last Great Wilderness soundtrack sound, and it sets up the flow of songs which constitute the first half of the record. ‘Two Sunsets’ itself is the most Pastels-like Tenniscoats song here: slow and tender, lit up by Saya’s fresh melody and that incredible confidence in the delivery it was such a revelation to see at their recent show in Glasgow. She can knock you to pieces and put you back reinforced with that voice. She leads with the singing on ‘Song for a Friend’, too, but one verse in Stephen takes over: ‘In the places we would be / Thoughts of you come back to me’, which is the kind of simple, affectionate song it is. Later on, back with Saya, comes the song’s most arresting image: ‘Your guitar still where you left it over by the willow tree / Sometimes when the wind is blowing, it plays your song for me’. Makes me think of Nagisa Ni te, for some reason. This song is where Saya’s, Katrina’s and Stephen’s voices come together to best effect, and the collaboration is at its strongest. In the Epicurean view, the highest pleasure (tranquillity and freedom from fear) was obtained by knowledge, friendship and living a virtuous and temperate life. Virtuous and temperate arson? * What do you mean, Katrina? Gorgeous song, though. Her voice smoky and relaxed, backed by a minimal, tripping Gerard Love riff. Not a song by someone trying to out-masterpiece her masterpiece, and all the better for it. There is much else to love: Stephen’s reading of The Jesus and Mary Chain’s ‘About You’ (frustratingly, the only song on which he sings lead, apart from a verse and a chorus in ‘Song for a Friend’), his voice caressing the words in a way which seems new, singing ‘the raindrops beat out of time’ deliberately out of time. There is the Tenniscoats’ old (great, noble, beautiful) song ‘Mou Mou Rainbow’ reborn, with less of a freakout ending, hypnotic like ‘Dark Side of Your World’. ‘Boats’ revisits Illumination territory with its Aggi-imitation bass (slightly too many notes!) and ‘G12 Nights’ ending. Saya’s songs on side two help to vary the pace, her ‘Sodane’ is the most goofily fun thing here (it’s been a while since The Pastels did goofy fun, they used to be so good at it), and is that Ueno on backing vocals? Closer ‘Start Slowly so we Sound Like a Loch’ is the refracted Scotland of my childhood holidays, my grandmother’s paintings. It is sea anemones in rock pools, barnacles on boats. Before I heard it I wondered whether Two Sunsets could possibly live up to expectations, but it doesn’t try to, and therefore it does. 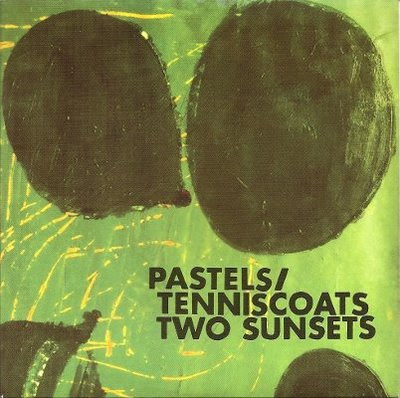 A new Tenniscoats record is always a cause for celebration, but more than that, this time, it is so great to have The Pastels back. * My dictionary gives a different definition for ‘epicurean’ with a lower case ‘e’: ‘devoted to sensual pleasures’, which makes more sense. Dog has names for people, based mostly on their smell, but the best is ‘MORE-STUPID-THAN-SHEEP-FEMALE’, the name Irina aquires after Dog helps her to escape from Vulk (arch villain and people-trafficker) by barking, blocking her way and forcing her to take the right path. All of the narrators share a simplicity of style. Their language is clear and concise, situations are conjured with broad strokes which put the reader at ease, complicit in the underlying assumptions. The less information you are given, the more pleased you are that the novel gives you credit for knowing what it leaves out. You are pleased because (it sounds odd to say it) you want the novel to like you. This is how a lot of children’s fiction works, but it is rare in adult fiction. Alexander McCall Smith does it, so does The Curious Incident of the Dog in the Night Time. S. pointed out that the point of view of an immigrant has similarities to that of a child: situations are unfamiliar, there is less cultural background to fall back on. This and the characters’ imperfect grasp of English are enough to justify the simple language in the novel’s own terms (although Emanuel not writing to his sister in their own language, Chichewa, is a bit of a stretch). What is remarkable is that it uses these fun, ramshackle characters and their disorganised travels to criticise the state of the nation. What kind of country is this, that is so under the thumb of its own supermarkets that it will illegally employ immigrants for pitiful wages (minus deductions for pitiful food and pitiful accommodation) in order to produce strawberries at the impossibly low prices they set in time for Wimbledon? 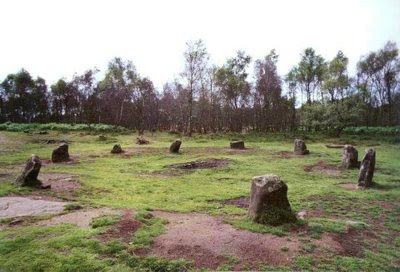 That’s not civilisation. This is the point at the centre of all the ‘philosophical elements’: that one person cannot directly cause any event, and that leaders don’t cause the actions of the people who follow them. Specifically that, contrary to appearances, Napoleon was not the cause of the French advance into Russia in 1812. Let Napoleon wear himself out, we’ll come back when his tantrum is over, is their attitude. This stoicism is not without its risks, though, and Kutusov’s emotion when he finally has proof that Napoleon no longer has any idea what to do, and that Russia is therefore saved, is very moving. Who was it, then, when all was said and done, who was punishing him, killing him, taking his life, Pierre’s life, with all his memories, yearnings, hopes and ideas? Who was doing this? And Pierre felt he knew the answer: no one was. I think this is why, after a fairly neat finish to volume 4, Tolstoy interjects some more narrative amongst the philosophising of the epilogue: he wants to fray the ending. The sketches of his characters in the decade or so after the main action are wonderful: they carry on as necessity dictates, becoming more domesticated with children and age. Because the reader knows so much of the necessity that has brought them to this point, it is impossible not to be happy for them. This was a nice surprise. A low key show in Mono featuring The Pastels, Malcolm Middleton, Teenage Fanclub and The Vaselines. To promote the launch of a new charity, the David Williamson Rwanda Foundation, and also to have some of the favourite bands of a man who died too young play some of his favourite songs. What a great way to be commemorated. In a venue which, according to Stephen’s preamble to ‘About You’, exists partly thanks to his encouragement and business acumen. He said that most of the list of favourite Pastels songs ‘are not songs The Pastels... can play at the moment, but he really loved The Jesus and Mary Chain’. Drifting into a digression to say that ‘About You’ also features on the new! imminent! Pastels! Tenniscoats! record! (my exclamation marks), he sounded a bit embarrassed by such unabashed self-promotion and tailed off. ‘Are you ready?’ asked Katrina, like a park keeper calling in a rowing boat. ‘Your collar’s a bit out,’ she added helpfully. Stephen defended the collar misalignment as punk rock, and away they went, Norman Blake standing in for Saya on the high backing vocal. The high point of their short set was the last song, ‘Basement Scam’, which was full, rich, glorious. I got lost in the sound, and lost in time, this and ‘The Viaduct’ tracking a course back through the years (Mono is constructed around something you could describe as a viaduct – I wonder how much of a coincidence this is?) Brogues thought this was the best he’d heard them do ‘Basement Scam’, and I’d say the same. Malcolm Middleton had played first, apologising in advance for the gloominess of his songs compared with the other bands on the bill. I haven’t followed his career at all, the only songs of his I know are the improvised ones from Arab Strap’s first LP. His voice has dropped several octaves since then, and he was right about the songs being gloomy – but not unpleasantly so, and one was gloomy about pizza. ‘Jesus Wants Me For a Sunbeam’. With Noise where lesser men might have cellos. It’s fine, it’s really fine. What we saw was brilliant enough. As it turned out, the taxi was late, we missed the last bus home and went back to Mono in time for the end of Teenage Fanclub’s set – a bit of ‘Don’t Look Back’ and, of course, ‘Everything Flows’. The perfect complement to ‘Basement Scam’: aching, epic, wild, home. Update: horsemeatpie’s photos, videos by geomck of Teenage Fanclub, The Vaselines and Malcolm Middleton.